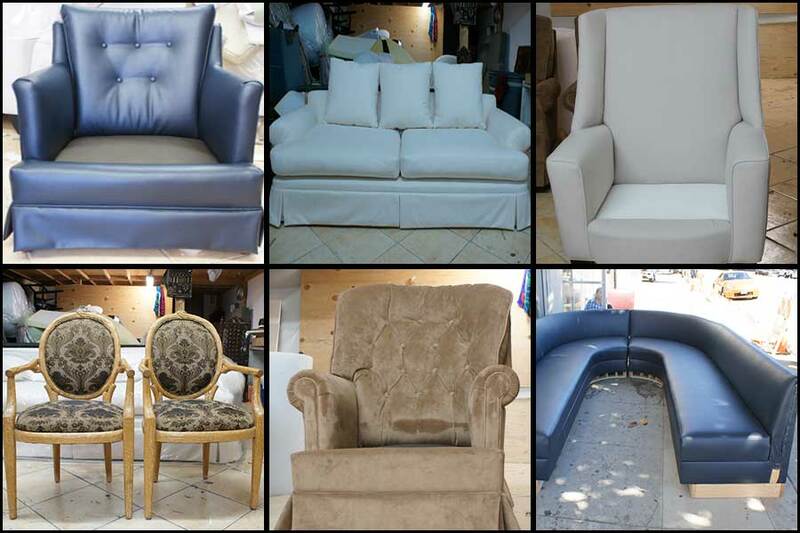 Professional upholsterer working at Lopez Upholstery Furniture in Los Angeles. 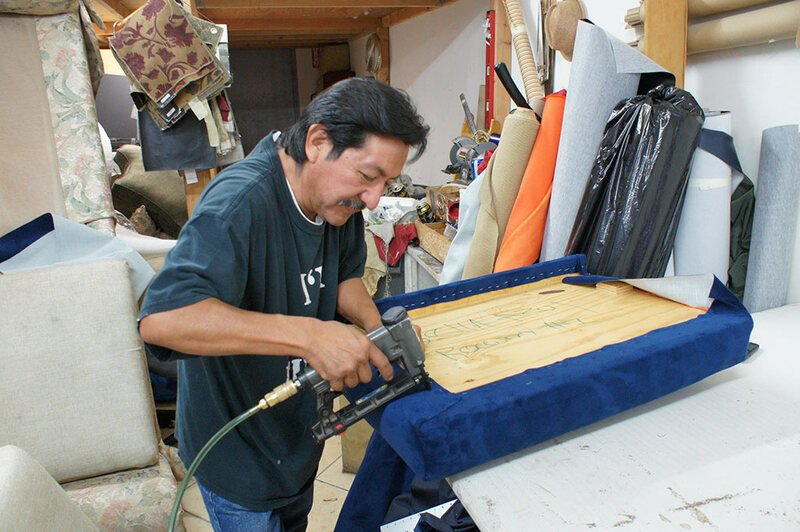 Photo by Manuel Lopez Jr.
At Lopez Upholstery we are artisans upholstering furniture for our customers at Lopez Upholstery. Call (323) 706-9552 for customer service or Email Us for Free Quote. 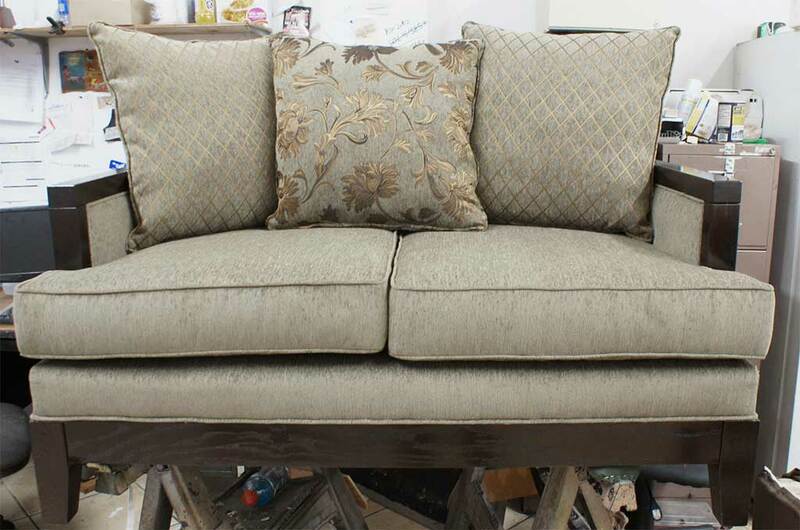 Couch upholstered at Lopez Upholstery Shop in Los Angeles. This is a residential sofa reupholstered. Photo by Manuel Lopez Jr.
Professional upholstery furniture projects made in Los Angeles by Lopez Upholstery at our local shop. Sofas retoched by our craftmanship and artisans.. Image Credit: by Manuel Lopez Jr.